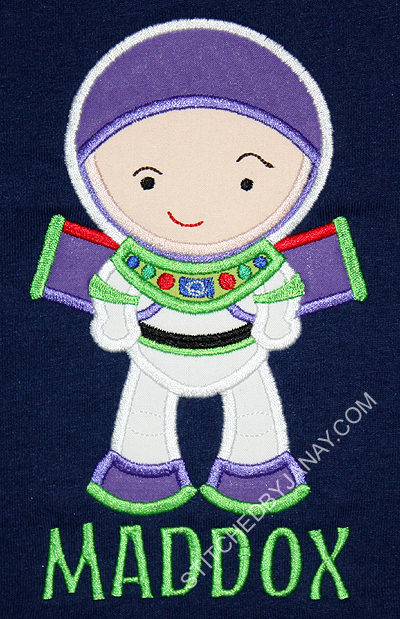 The applique 2 is from GG's Chubby Wubby Numbers. 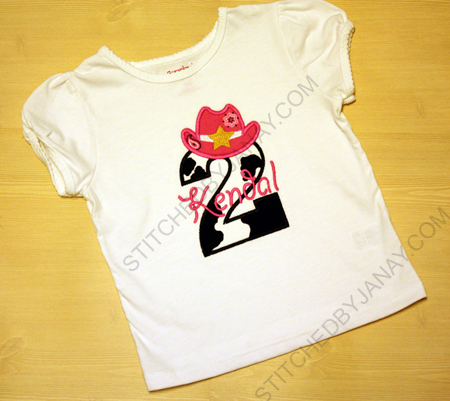 I borrowed the hat from 8CP's Cowgirl 1 Applique and added her name with 8CP's Clay. 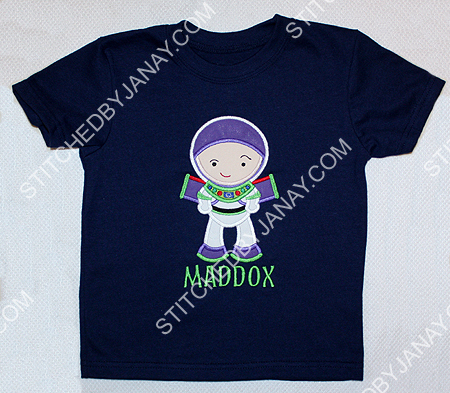 My little buddy Maddox had a Toy Story themed third birthday party today, and I was absolutely delighted to make this shirt for him! 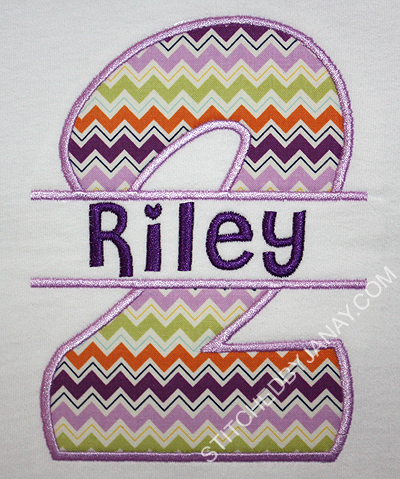 Even though I've done quite a bit of stitching for little Riley, it's hard to believe she is already two! 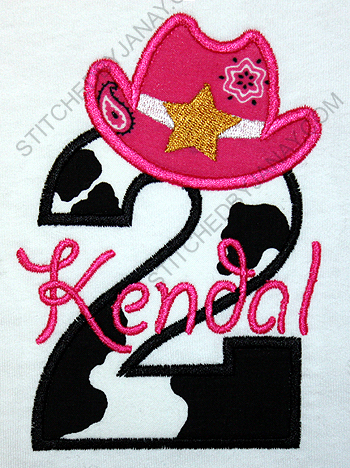 When Michelle asked me to make her birthday shirt, she specifically requested the Split Numbers from Savvy Stitches Applique. I used 8CP's Mandi to add her name. 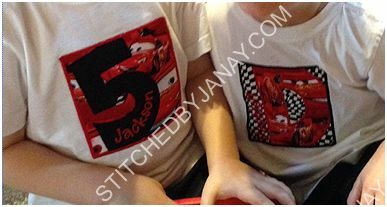 I don't use designs of licensed characters, so I'm always on the look out for ways to create personalized items for kids that coordinate with their party themes or favorite things yet don't break copyright rules. 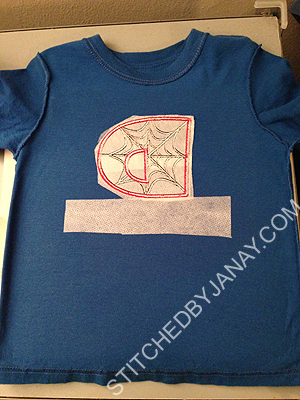 Since my little guy is a Spider-Man fan, I requested an applique font with a web inside from 8 Claws and a Paw, and did they deliver!! Isn't this cute?! I used a nice red Kona cotton. I got it wet and dried it with my iron to tighten up the weave. Then I applied Heat-N-Bond Lite and got to work. 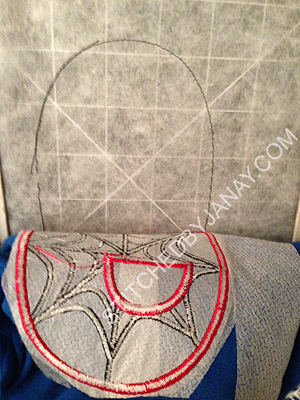 I had no puckering at all as the web stitched. It was perfect! 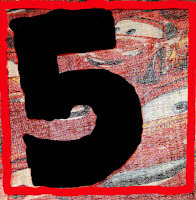 The set includes numbers, which will be perfect for birthday shirts. 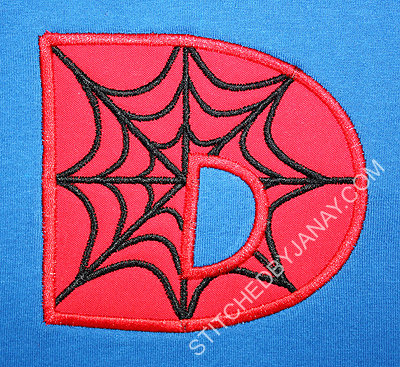 If you buy the applique set this week, you get a Spidey embroidery font for free! I was so excited to wake up this morning and discover that news, so I did something I've never done before... 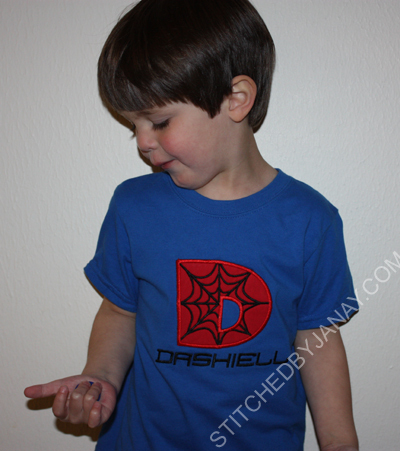 I rehooped a shirt to add a name! And this is a shirt that has already been washed and worn a couple of times. I'm sure there are lots of ways to do this, but here's what I did... I merged together the applique D and his name in Embird (had to reduce his name to 80% because dang, he has a long name). 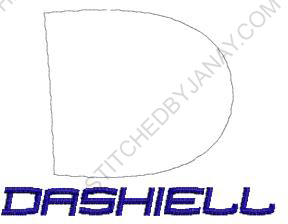 Once I got everything positioned exactly as I wanted it to appear on the shirt I deleted everything from the D except the placement stitch. 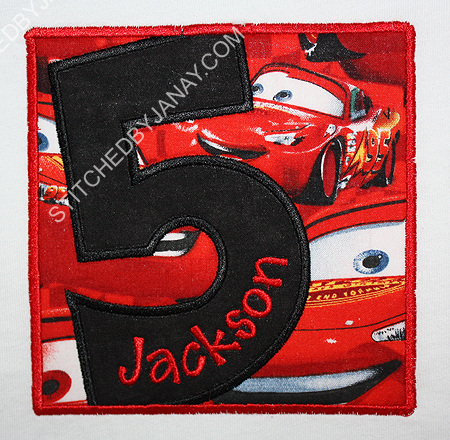 I used that to position my shirt on the hoop, I lined up the completed applique perfectly on top of the placement stitch. 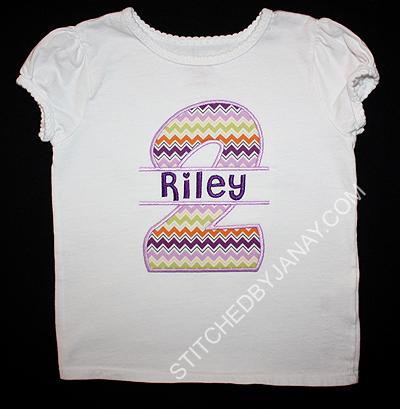 I smoothed it out, floated a piece of tearaway underneath, pinned a piece of Solvy on top, and stitched the name. Voila! 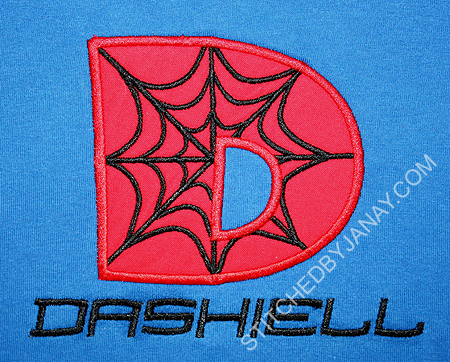 Name with Spidey font added! 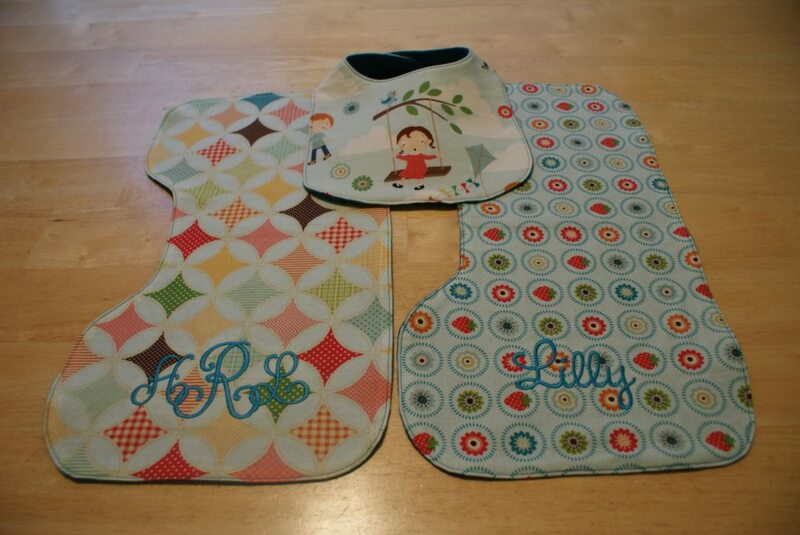 Martha and Maggie also requested items for a relative who just had a baby boy! It's been a while since I've done a larger gift set, this was fun to do! 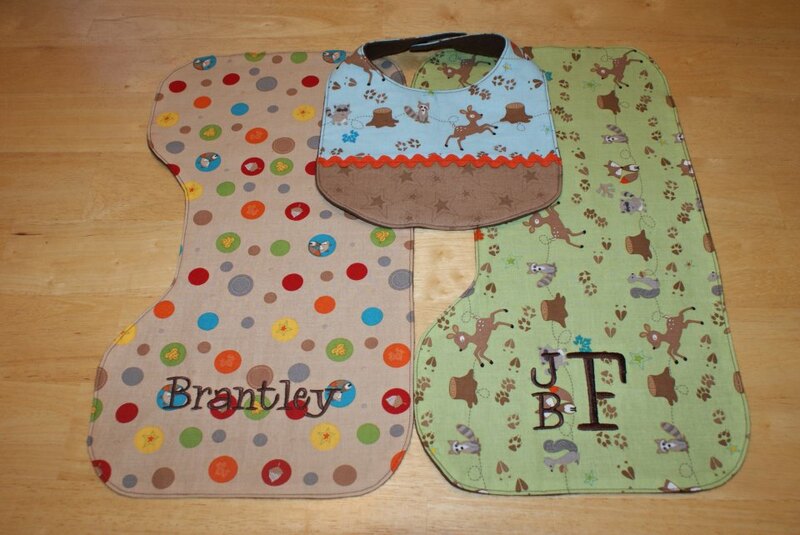 For the burp cloths they requested a couple with a wild animal theme and one with honey bees. The lion is from DBJJ's Noah and Friends set. I added Mark's name with 8CP's Faron. The monkey is also from that DBJJ set. I added his name with 8CP's Dora's Boots. 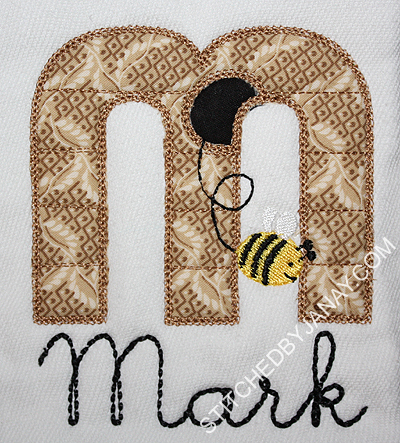 The Behive alphabet is from East Coast Applique. I did some design editing and just used one big piece of fabric instead of doing the raggy stripes as it's designed (you can see my other project with the font here, it's cute both ways!) I couldn't find that same set of scraps in my stash, and frankly I was pressed for time. :) I love how this fabric worked for the beehive though! 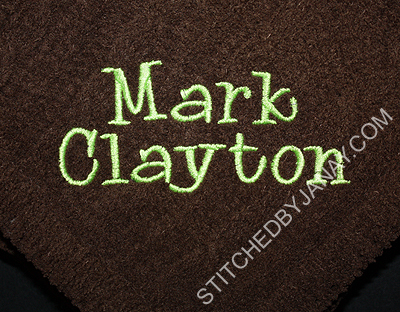 Added his name with Jolson's Hand Lettered Floss Stitch font. And this blanket, with my favorite, 8CP's Whoa Nelly. I hope I never fall out of love with this font! 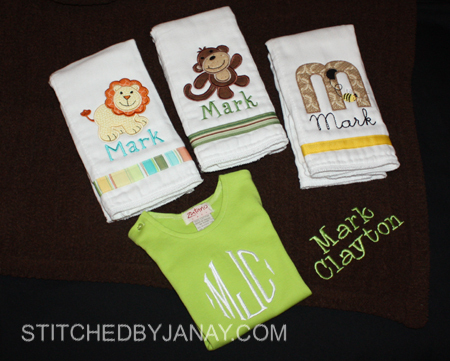 Martha supplied the blanket and bloomers, I added the monogram. 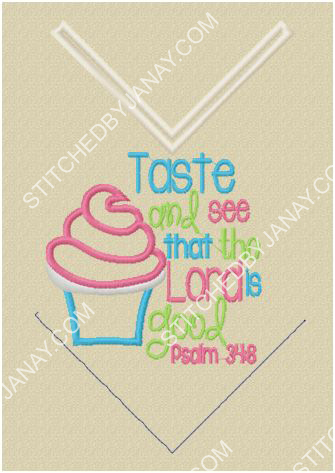 I used 8CP's Sweet Tarts, I LOVE this font! Isn't it lovely? 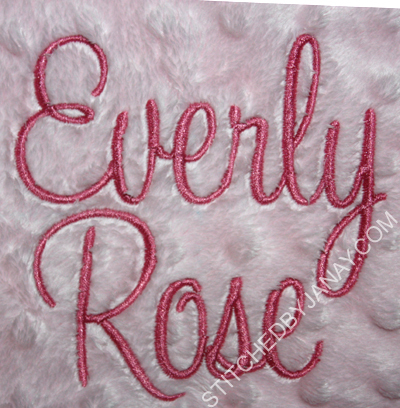 And Everly Rose is such a pretty name. Our congregation is hosting a Ladies Retreat this weekend and I was asked to donate a door prize. 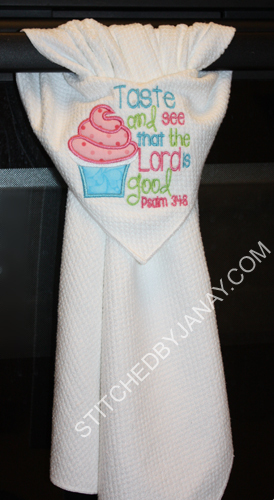 The theme is Keeping it Simple and Sweet, they are decorating with cupcakes... so I immediately thought of this design and decided to make a Stay-Put towel! 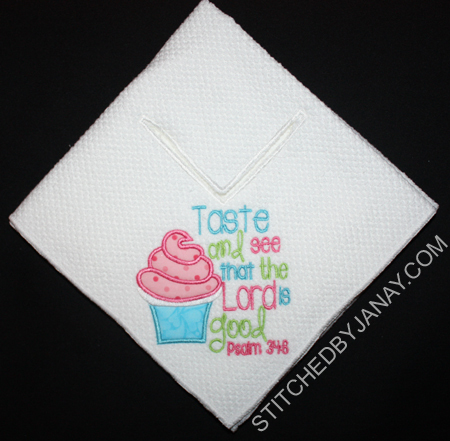 The Cupcake Psalm design is from the Itch 2 Stitch. 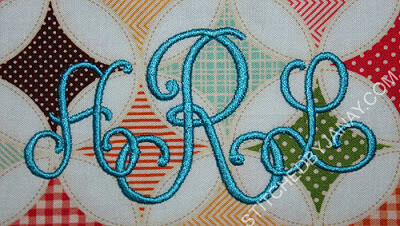 My Stay Put towel is loosely inspired by the Topsy Towel tutorial posted on Embroidery Library. 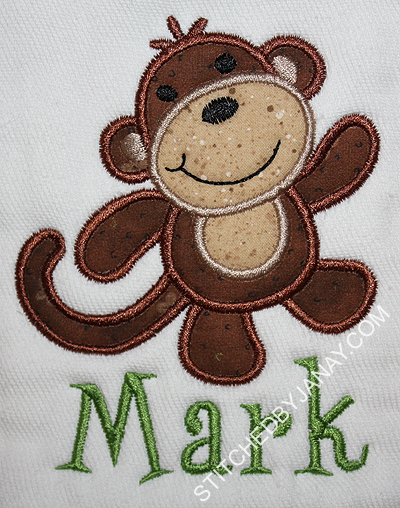 In this case I did not applique a square of fabric, nor did I square up the towel. 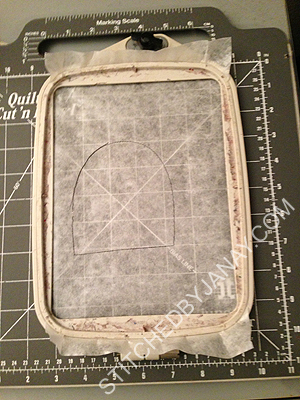 There is a free V-shaped buttonhole design posted on Sew Forum that goes with this tutorial. If you are not a member of SF, it is free to join. 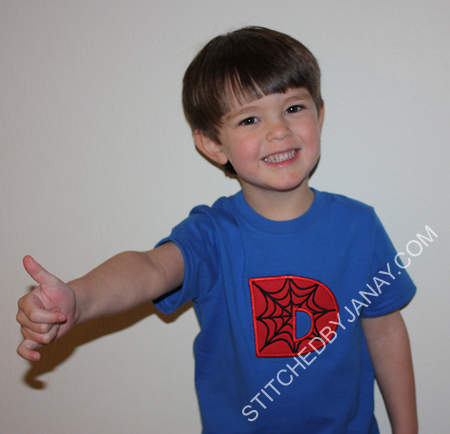 Recently I've had the pleasure of making several birthday shirts for little friends. 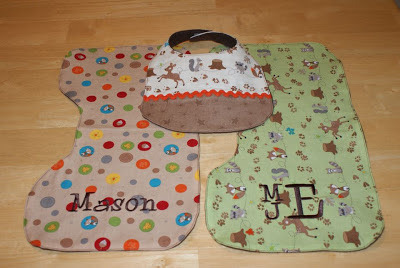 Today I'll share a couple First Birthday designs! Grayson's mommy requested a cupcake with a #1 candle and her name. 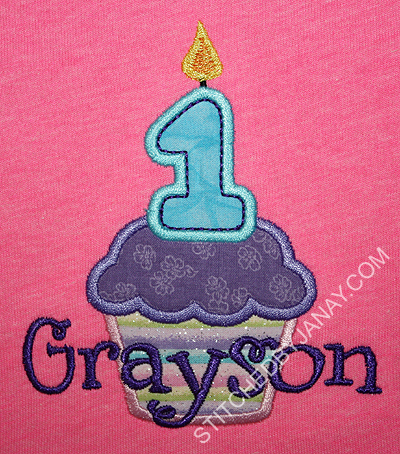 I was delighted to use this adorable design from GG Designs (I love her number candle cupcakes!) I added her name with 8CP's Jingle. 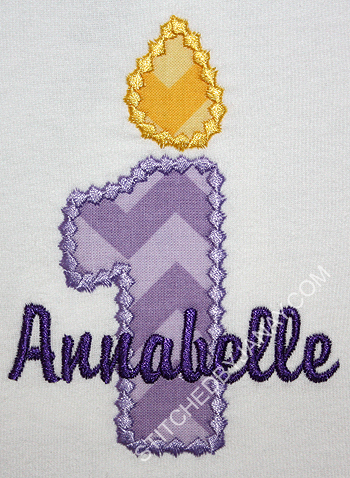 Annabelle's mommy requested simply a #1 candle. 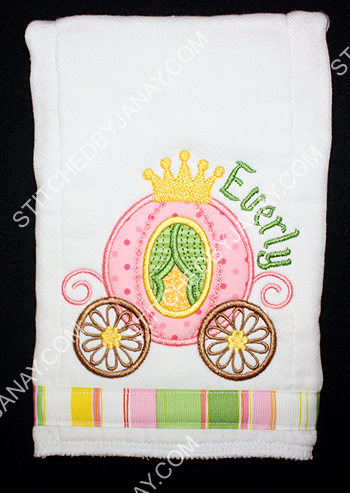 I used 8CP's Applique Birthday Candle Number, and added her name with Embird Alphabet #7 (to match a bib set I made last year). Purely out of curiosity, I spent some free time over the last few days figuring out how many different fonts from 8 Claws and a Paw I have used. At least 119, can you believe it?! I'm going to keep a running track of them on my Facebook page. 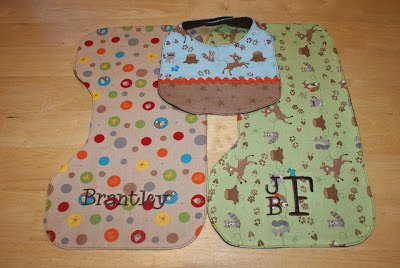 In the process I realized I never blogged about these projects! My friend and best customer Michelle made some baby gifts herself last fall. I played a small role... 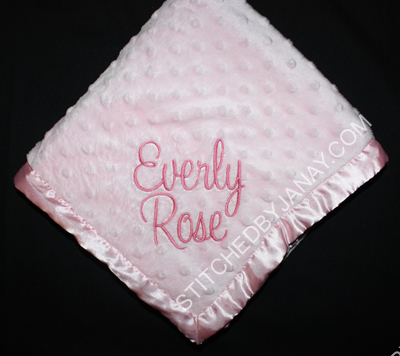 I monogrammed the fabric first before she constructed the burp cloths. Didn't these turn out cute? 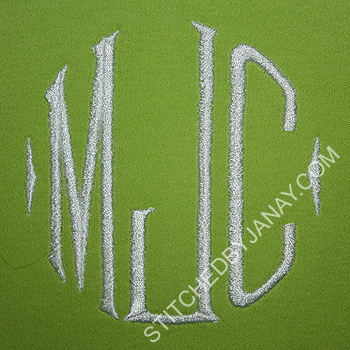 For the boys, I used Whoa Nelly for their name and monogram. 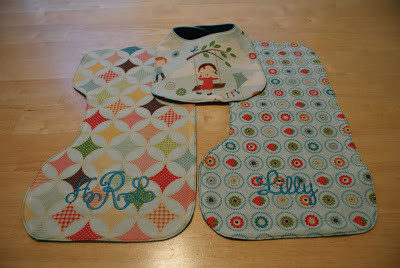 All the fabric was from a couple of Riley Blake lines, and I think she used this tutorial for the contoured burp cloths. 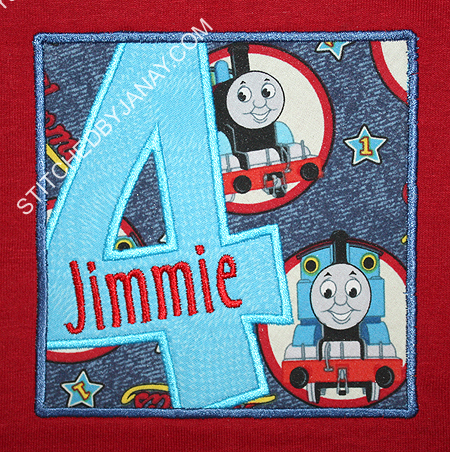 It's time for Jimmie's birthday again! He's having a Thomas party and requested Itch 2 Stitch's Box Font Number 4 with Thomas fabric. I added his name with 8CP's Tiny font. Quick comparison picture to show you how I improved on an earlier experiment. 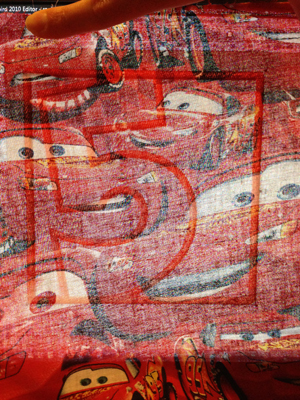 My very first project with I2S's Box font was Dashiell's shirt, but honestly while I loved the idea of combining the Lightning McQueen fabric with the checkered flag fabric, it was too busy and his name got lost. Going with solid black for Jackson was definitely an improvement! Then I take a picture of it with my phone and pull it into Photoshop. I do some rough, and I mean ROUGH painting to see if I like what I see. :) If so, then I use a water soluble marking pen on the fabric so I can line up the fabric with the placement lines at the embroidery machine. Here's the preview image I sent for Jimmie's design. 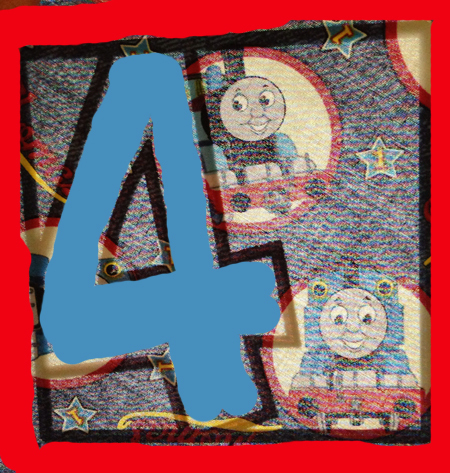 This literally was the ONLY fabric position where I could get all the Thomas images facing up. 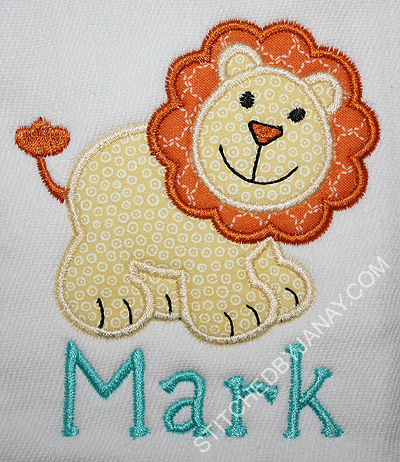 You can really make fabric work for you in an applique design with just a little extra effort!